ABSOLUTELY THE BEST TUTORING IN Ladera Ranch… AND WE’LL PROVE IT! Make sure your academic or SAT tutor in Ladera Ranch is fantastic, personal and works well with your child! Don’t take a chance and pay up front. Instead, take advantage of one FREE hour of tutoring in Ladera Ranch, no strings attached! We tutor in all levels, K-12 of Math, English, History, Science, and much more. Are you looking for Tutoring in Los Angeles or Tutoring in Ladera Ranch? If so, you've come to the right place. 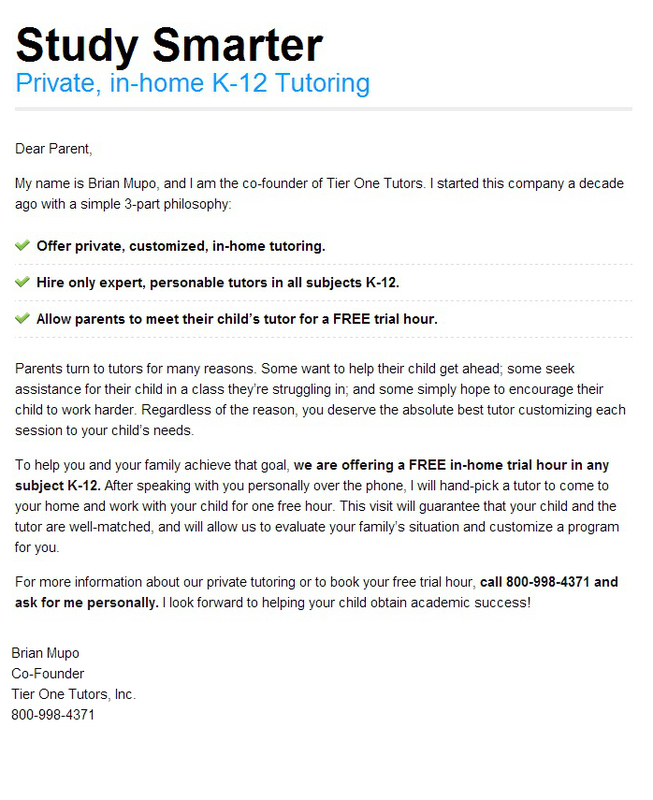 Tier One Tutors is a Ladera Ranch tutoring company specializing in all subjects, K-12, as well as AP and SAT Prep. Please Note: Free hour of tutoring does not include SAT Prep. For information on SAT Tutoring in Ladera Ranch, please check out our Los Angeles SAT Tutoring Information Page. There are many beautiful cities in California, but Ladera Ranch may be one of the most striking. It is located nearby south of Orange County and is just beyond the limits of Rancho Santa Margarita. This location is conveniently positioned and makes it one of the more popular cities in all of California. Ladera Ranch is a planned community that is roughly 4000 acres, which makes it average in size. With many cities nearby it is in a prime location that was strategically planned. Others are two main Parkways that make travel very easy and they are called the Antonio Parkway and Crown Valley Parkway. This community was first constructed in 1999 on some of the 23,000 acres of land that are owned by prominent cattle ranchers in California. These families are the O’Neil’s, Avery's and Moiso's. Until the land was converted, it was one of the largest ranches in the entire region. In order to pay tribute to the history of Ladera Ranch, there is an authentic El Camino Real Bell that is placed right in front of one of the more prominent elementary schools. This community was designed with a unique style and vision in mind. It is sectioned Ito about 9 villages that contain different areas that were developed by builders. These areas within the villages are referred to as neighborhoods and each village has about 10 of them. The villages in Ladera Ranch all have specific names, but some of the more well-known villages are Avendale Village and Echo Ridge Village. The main noticeable distinction about all of these villages is that each has its own unique architectural style. In each village you will often find clubhouses, parks and pools that are made available to residents. Some of these villages are gated communities, but if you are a resident of Ladera Ranch, you can gain access to all. What To Do in Ladera Ranch? It really is an ideal community for families or individuals that love the outdoors. Within this community you will find a private water park, various skating parks and almost 20 parks and playgrounds designed for children. There is a shopping district that is filled with retailers and stores that are conveniently located in the community for easy access. You can even spend days on the various hiking trails that lead to Doheny Beach.